The Fiat 8V was Italy’s largest automaker’s first attempt at a true postwar sports car, and it’s notable for several reasons. First, this was a true V-8-powered modern car, with a streamlined body not at all like the usual run of mass-market subcompacts produced for Italian domestic use. 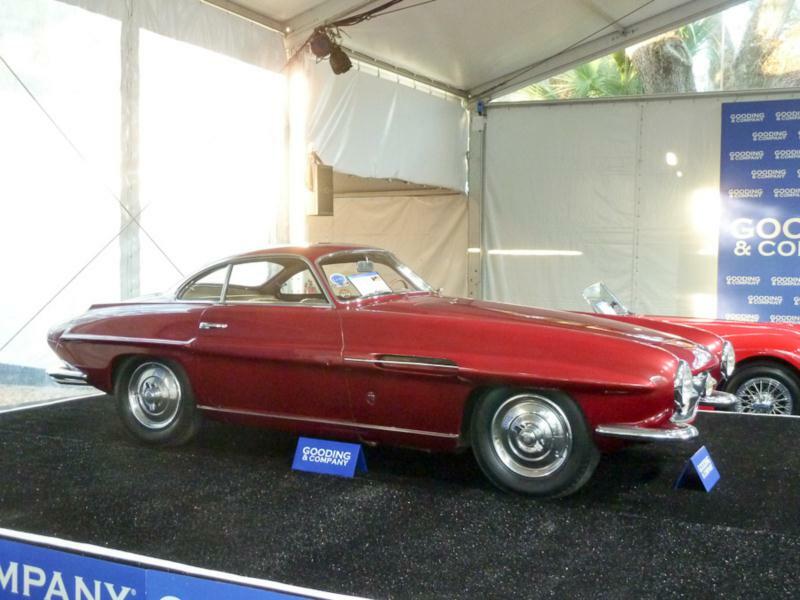 Second, by 1954 Ghia was experimenting with fiberglass bodies for the 8V, presumably inspired by the Chevrolet Corvette and the other fiberglass development being conducted at the time. The Fiat 8V was marketed using the slogans such as “Designed by the wind” and “Built for speed” when it debuted in 1952 at the Geneva Motor Show. The 8V featured a two-door, two-seat body reminiscent of the Ferrari 166 Barchetta, except with a rounded fastback coupe roof. Bodywork differed strikingly from car to car, as some 8V examples were made at various coachbuilders including Zagato, Ghia, and Vignale in addition to the Fiat factory. All cars, however, were two-seat, two-door fixed-roof coupes. 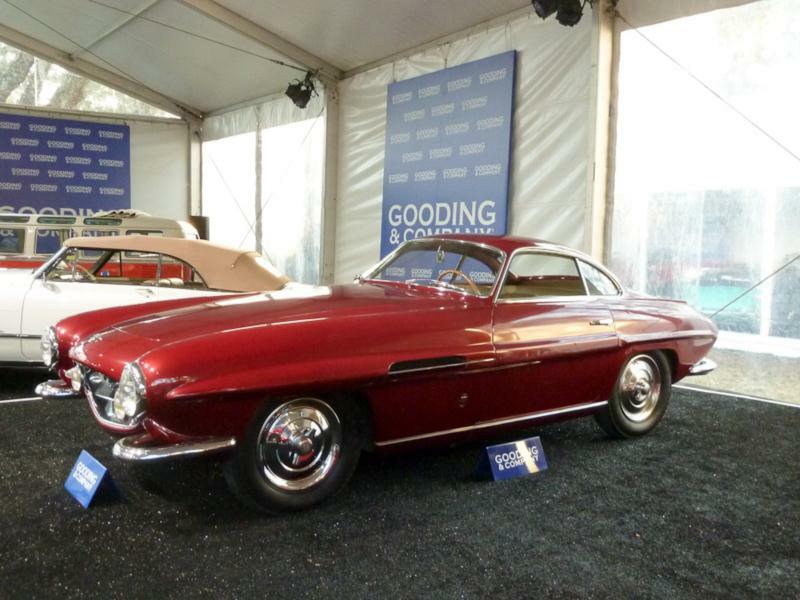 Ghia made the most divergent cars of the lot, with “Supersonic” bodywork reminiscent of the Alfa Romeo Disco Volante. The engine in the 8V was a Fiat design. It was a short-stroke, small-bore V-8 displacing 1996 cc and delivering a respectable 105 hp and 107 lb-ft of torque. It used a single Weber carburetor, though a dual-carb version with 115 hp was also offered. The engine was mated to a 4-speed manual gearbox with second and fourth gears synchronized. The cars used a standard front-engine, rear-drive configuration. Brakes were four-wheel drums, in keeping with standard practice in that era. The frame was mostly tube steel, with some welded-together box sections and the bodywork was welded to the chassis. All told, 114 Fiat 8V chassis were made between 1952 and 1954. The 8V had a respectable racing career, first entering the Mille Miglia in 1952 and finishing 5th in class. Zagato made several racing bodies for the 8V and continued to race and win in the cars until 1959. With so few of these cars ever made, and each one being for all practical purposes a bespoke coachbuilt sports car, prices are likely to range ever higher for one of these exquisite machines.